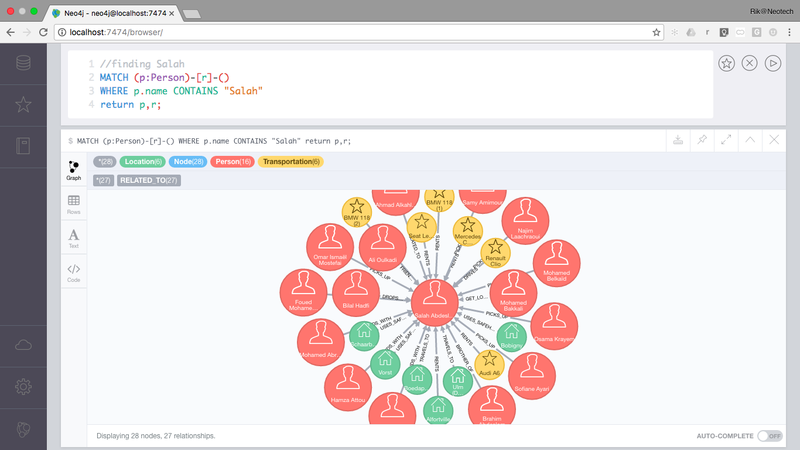 Part 2, we cleaned up some of the data for easy querying in Neo4j. So that's where we are. To wrap things up, I just wanted to illustrate some of the results and queries in Neo4j around some of the most interesting figures in this Terrorist network. 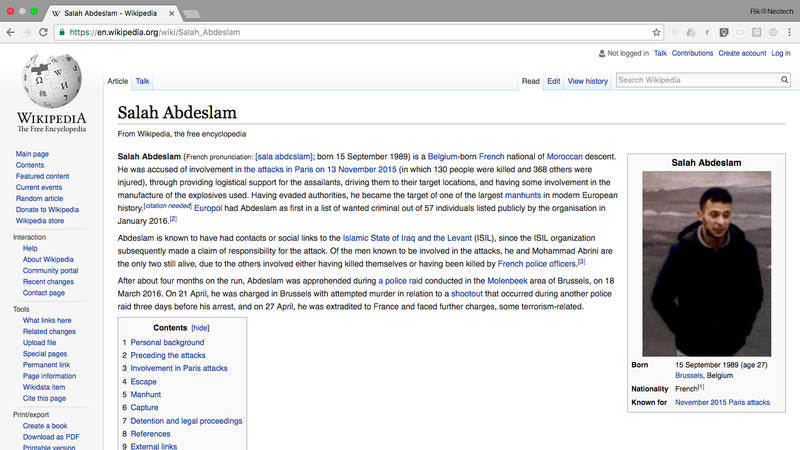 I started some of my explorations around a widely reported terrorist, and Belgian national, called Salah Abdeslam. So let's take a look at Salah in Neo4j. Here's the simplest Cypher statement exploring Salah's node and immediate surroundings. 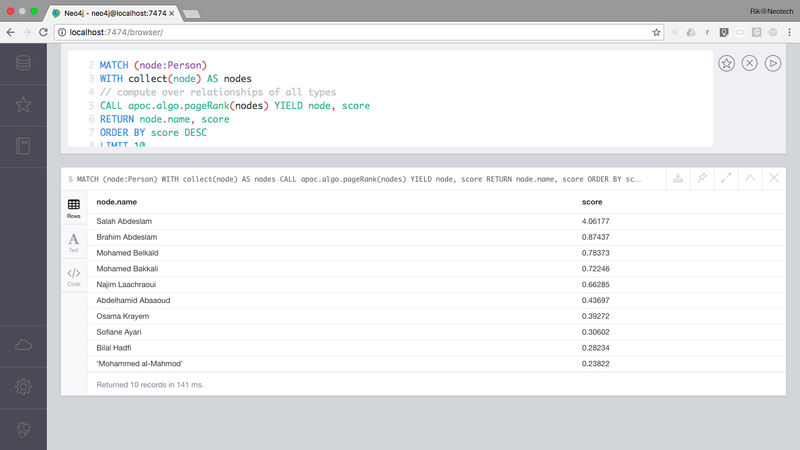 Pretty simple, and of course the Browser allows me to interactively explore the graph step by step. And we see how our man Salah plays a pivotal role in this network already. That's why I started to play around with a couple of well-known graph algorithms using APOCs. 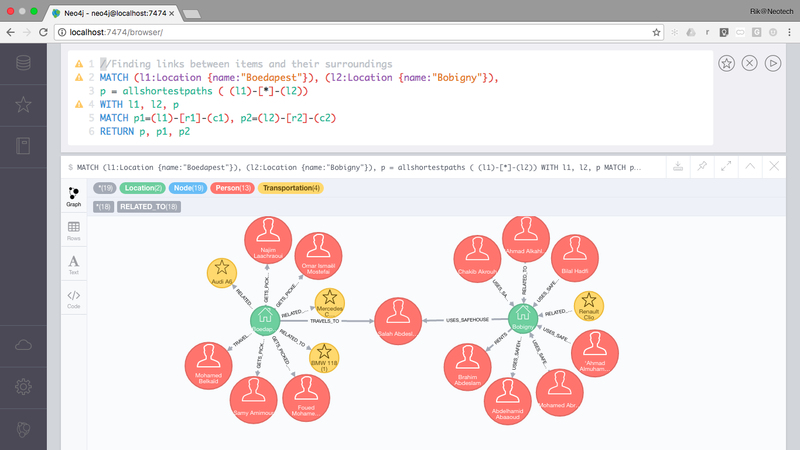 In our Awesome Procedures, there are some really nice hooks to very well known graph algorithms that could give us a great feel for the importance and significance of some of these graph components. Take a look at them over here, but in this example we will specifically focus on the Betweenness and Pagerank scoring techniques to evaluate the structural characteristics of the network. Our man Salah is VERY much "between" the different subgroups of the Paris Terrorist Network. Again, highlighting the importance of our "spider in the web", Salah. 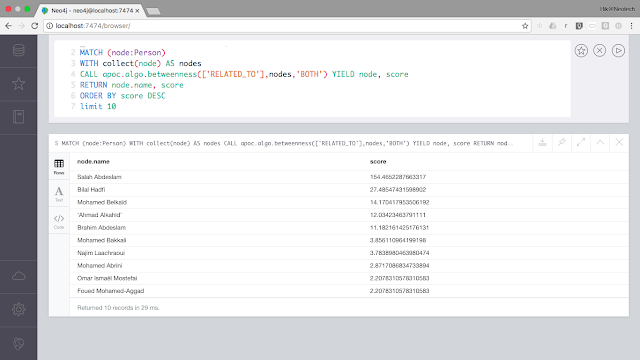 I hope this gave you some ideas as to how to further interact with this dataset. It's tiny in terms of size, but really interesting in terms of content and trying to understand the way these groups work. Hope this was interesting - this concludes the third and last part of this blogpost series. All the data and queries for this series are available on github, as always.